Beyonce.comCan’t get enough of Beyonce? Lucky for you, the singer is releasing her very first calendar, according to her official website. 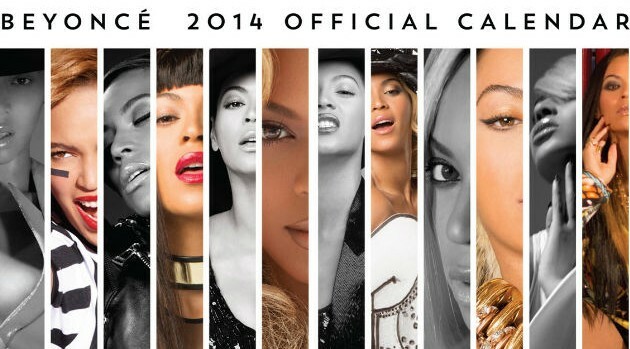 The international diva has issued an exclusive look at her brand-new 2014 official calendar, which measures in at 12 inches by 12 inches and includes 14 different images of Bey. You can purchase the calendar for $15 dollars via Shop.Beyonce.com now. The calendar will be available at retailers starting Tuesday, October 15. In other news, Beyonce is preparing to wow audiences for the New Zealand and Australian leg of her Mrs Carter Show World Tour, beginning next week.